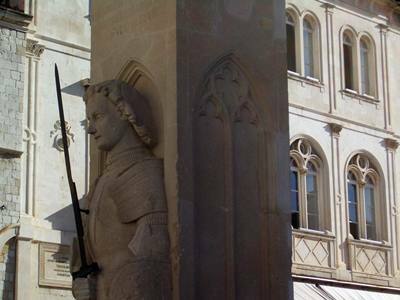 Orlando's Column stands in front of the Church of St Blaise, a stone column featuring the likeness of mediaeval knight Orlando (Roland), with sword extended, made in the Gothic style. It was placed there in 1418, and from it flew the flag of the Republic of Dubrovnik for a full four centuries. 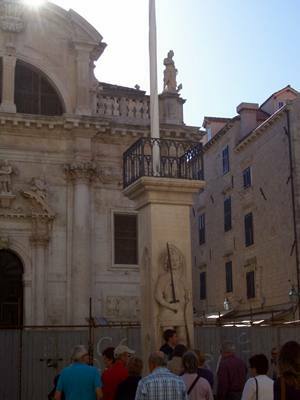 Nowadays, during the Dubrovnik Summer Festival, the column bears a flag with the legend "Libertas" (Freedom).